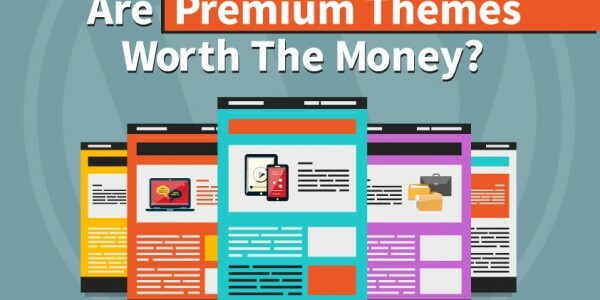 Are Premium Themes Worth the Money? The best things in life are not always free…. WordPress themes are one of those things. Of course… and… it is. I’m a big fan of WordPress, actually. This article you’re reading right now? It’s on WordPress. And the entire website this blog is on? Still running on WordPress. But to get to this point, it required a little investment… specifically a powerful, feature-rich theme. There are a lot of benefits, of course, and below are a few of the best reasons that make premium WordPress themes worth your money. Paying for your theme means you have professionals designing and coding it for you. It also means if you need tech support, you will have access to it. Free themes typically don’t have any form of support, and if something goes wrong, then you have no choice but to work on the problem yourself. Premium themes have the resources to make sure that your site runs better. A good premium theme gives you so much flexibility in terms of design which makes so much easier for your website to stand out. It allows you to create so many variations that by the time you’re done fixing up your website, you can barely tell that you’re using a theme used by others as well. Case in point– our website. It’s a built using a premium WordPress theme called OptimizePress. It’s a “drag and drop” style theme that makes it simple to customize your pages to properly reflect your product, brand, or service. It's also got a ton of features that allow us to create landing pages, sales pages and even optin-pages in only minutes. If you find WordPress to be incredibly easy, I am very happy to let you know that using premium themes will mean an even easier, more functional user experience! From setting up and customizing your site’s look, to managing the day to day requirements of your blog such as resizing thumbnails, inserting advertising code, even changing layouts to give it better style. On the Internet, security is always a concern. Premium themes are supported by coders and developers who are always looking out for ways to improve security for your site. Back in 2011, there was a big WordPress security vulnerability called “TimThumb” that creeped up. TimThumb is a a simple script designed to resize images on WordPress and it's a part of just about every theme out there (both paid and free themes). You can read more about it that vulnerability here. Anyway, anyone who was using a free theme was then stuck between a rock and hard place–they could either delete the theme and lose its functionality, or go through the complicated and time consuming process of sorting it out themselves. Everyone else using premium (paid themes) had to do only one thing — click on an update provided by the coders and developers who made their theme. Much simpler to let the professionals keep your theme secure! If you purchased a premium WordPress theme from a reputable developer, then chances are, you will have access to online tech support for whatever problems you may encounter. Here’s a great article that runs down what you should look for when looking for a theme. To that end, this also means that as developers receive feedback from their users, your chosen theme will likely have updates to fix bugs and add new features. and the clarity of online portfolios or the all-inclusive simplicity of corporate websites. Whatever you need and for whatever industry, there will be a premium theme for you! Ask yourself… how much is your time worth? Free themes require you to be more hands-on with the entire process of creating and maintaining your site–time that you can easily be using to focus on running your business instead. Most premium themes are one time investment and can start as low as $25. You have a business because you want to earn money, not bleed them in all the wrong places. Why choose to spend thousands of dollars for a custom-made website when you can get the same efficiency with a WordPress premium theme for a tenth of the price. So if you ask me, are WordPress themes worth the money? All things considered, my answer is a resounding yes. It’s actually one of the best investments you can make as you build your online marketing efforts. Are you willing to give WordPress a try? Browse through and decide based on the functionality of your website as well as how much time and energy you want to put into it. Do you know someone who needs to set up a website? Make it easier for them and share this link!